Get ready for the holiday with our ultimate Thanksgiving recipe collection. From Thanksgiving classics to new favorites, find the test kitchen guaranteed recipes your need for your Turkey Day feast. There’s nothing better than a perfect turkey for Thanksgiving dinner. And there’s nothing worse than when it comes out wrong! Follow these tips to avoid laying an egg at your family Thanksgiving. How to Make Thanksgiving Pizza 5 Genius Slow Cooker Hacks What's the Difference Between Tofu and Tempeh? Let this genius appliance steal the show this holiday season. Preparing that Thanksgiving turkey can be intimidating. But don’t fret! Here’s a short primer on exactly what to do between buying and roasting, with tips from a hotshot chef. After years of experimenting with different techniques in the Test Kitchen, we've landed on butterflying and grilling as the path to a better bird. Flattened out, the turkey cooks more evenly and quickly, keeping the meat moist, while grilling produces ultra-crisp skin. Plus, your oven is freed up for cooking sides. This turkey is a pleasure to offer on your table. It's incredibly moist and flavorful, and it received our highest Test Kitchens rating. Brining is an overnight process, so if you're using a frozen turkey, be sure to thaw it well in advance. Choose turkey-sized plastic oven bags for brining the turkey. Use two bags to prevent brine from leaking, and place the turkey in a large stockpot as another precaution. This recipe goes with Savory Herb Gravy. Grill a spatchcocked turkey for a smoky, robust bird that's ready in half the time. The turkey won't have grill marks (it cooks flesh side up over indirect heat) but will absorb that chargrilled flavor. We get it: Picking out a Thanksgiving turkey can be daunting. But there’s no need to be intimidated at the grocery store or farmstand when you’re picking out a bird. Here’s exactly what to look for, guided by a super-skillful chef. This season, carve into a juicy main dish worthy of a celebration, and our online reviewers' top rating. If you only choose a few, invest in these essential and endlessly versatile kitchen tools for Thanksgiving this year. Out of time for a delicious, homemade Thanksgiving spread? Think again! Check out these super-simple and quick recipes for traditional dishes before you resort to calling the local diner for pick-up. From traditional favorites, to new creations, these crowd-pleasing appetizers are sure to satisfy your guests this holiday season. h that's both delicious and nutritious. The classic recipes are great, but don't sleep on the Cranberry Sweet Potato Bake. We're drooling just thinking about it. Whether you call it stuffing or dressing, this comforting classic is a necessary staple on the Thanksgiving table. We've collected the 10 most popular, tried and true stuffing recipes on our entire site, so you can find the perfect recipe for your guests this year. What's a Thanksgiving meal without a sweet ending? Whether you're looking for a classic like pecan or pumpkin, or aiming to wow your family and friends with new flavors, like chai-carrot, pick your pies from the 10 best recipes we have to offer. Potatoes are a staple in any Thanksgiving spread and there are endless ways to prepare them. Whether you're loyal to the sweet potato, all about the fluffy mashed potatoes, or looking to try something new, you'll find the perfect recipe in this round up of our site's 10 best potato dishes. You've no doubt heard of--and enjoyed--salted caramel. Miso caramel takes that concept one step further, offering depth and richness that's unparalleled. 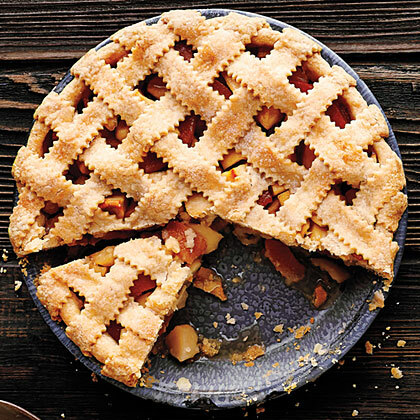 Even though this pie is rather decadent, it still comes in with 12g less sugar than a popular online version of caramel-apple pie. While storebought pie crusts make a nice pie, it's so satisfying to make your own pastry crust. Learn how with this step-by-step video. Can I leave a baked pumpkin pie out at room temperature? Butter Versus Shortening: Which is Better for Pie Dough? Every good baker has an opinion about the best pie dough. With the world of sweets having shifted so much over even the last few years, we wanted to check in with a few hotshot pros. With so many other pumpkin dessert recipes, there's no need to limit yourself to pie or pumpkin spice lattes (even though we enjoy both). 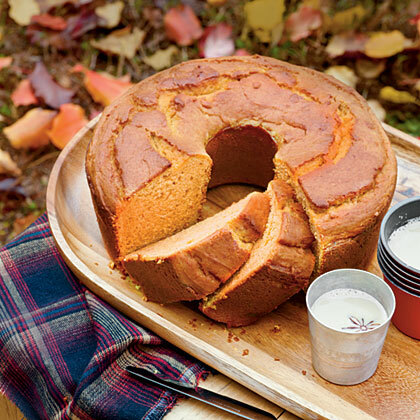 Have fun experimenting with different was to sweeten up pumpkin in your favorite treats. This time of year, pecans are the star of dessert dishes everywhere. From bars, to truffles, to milkshakes and classic pies, these pecan desserts are a festive way to celebrate the season with family and friends. When your oven, microwave, and even your neighbor's oven are full, don't worry—there's always room for dessert. Check out a few of our no-bake desserts that call for minimal hands-on time and deliver top-notch flavor. It'll make prepping Thanksgiving dessert a *piece of cake*. Pumpkin pie is arguably the most requested dessert during the holiday season, with cheesecake following not too far behind. Combine both for a hybrid creation of pumpkin cheesecake. 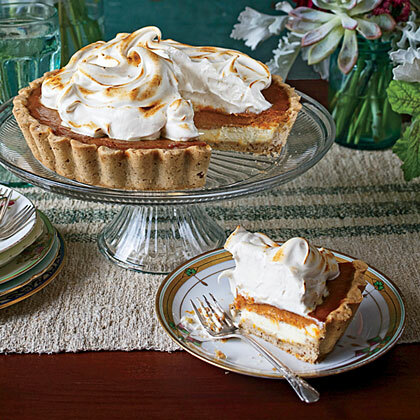 This fall-inspired dessert incorporates a classic velvety, creamy texture, while the addition of pumpkin adds a familiar warmness. Serve these top-rated pumpkin cheesecake recipes at your next family gathering for a sweet end to a full dinner spread. Thanksgiving is the feast that keeps on giving. Here are some great ways to use your leftovers for some great meals and sides. Some would argue the best part of a big holiday feast are the leftovers. And much like bacon, the great thing about ham is that it can be added to virtually any dish to amp up its savory flavor. Here are some of the best ways to hamify your post-Christmas meals to get the most use out of your holiday feast’s main dish.